A high priority for AAUW is encouraging education for women and girls. 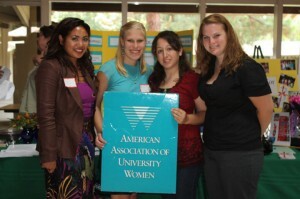 AAUW San Jose is committed to many programs; to offering local scholarships, educating Branch members about financial issues, sending local girls to a science camp, and partnering with local community colleges and four-year colleges/universities, as well as participating in the AAUW National fellowship and grant programs. AAUW San Jose Local Scholarship recipients plan to enter fields such as biotech, engineering, health sciences, business, journalism, and education. 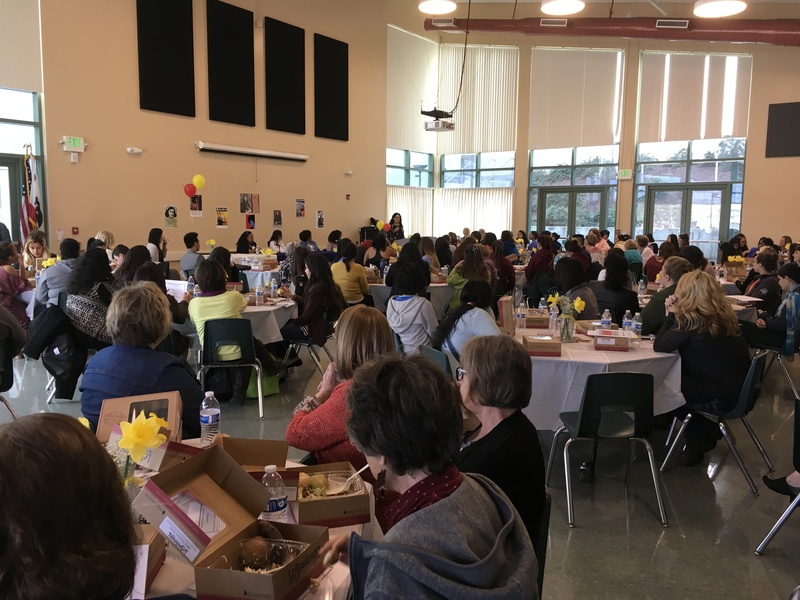 AAUW San Jose proudly supports women in achieving their educational goals. The Local Scholarship committee awards scholarships each year to local women working to finish a four-year degree. The scholarships are funded through grant writing, monetary donations, and an annual holiday boutique. Since 1980, Local Scholarship has awarded more than $500,000 in scholarships to 65 deserving young women. In 2018, we awarded more than $68,000 to 18 recipients. In 2019, we are offering scholarships from $2,500 to $6,000 and a total amount of $70,000. Read here what past scholarship recipients have to say about how scholarships impacted their lives. 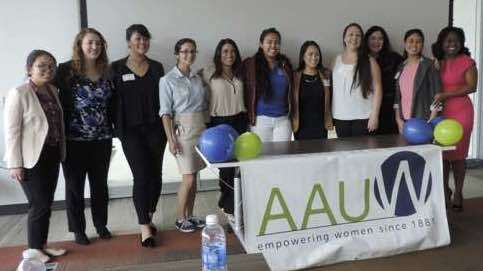 AAUW encourages branches to connect with local colleges and universities by recruiting them as college/university partners. All undergraduates on those campuses are eligible for a free “e-student-affiliate” membership in AAUW. In addition, the San Jose Branch offers free local membership to students from non-partner colleges and universities. Students benefit from workshops such as Start Smart (how to negotiate your salary), which have been taught at San Jose State University, San Jose City College, Evergreen Valley College and Santa Clara University. They also benefit from Campus Project Grants and scholarships to attend the National Conference for College Women Student Leaders (NCCWSL). 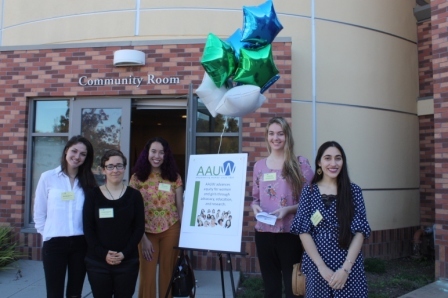 The Branch’s C/U Relations Committee helps to organize AAUW-sponsored campus workshops, facilitates delivery of AAUW resources and opportunities to its local campus partners. The C/U Relations Committee also encourages participation of students, faculty, and staff in mission-focused activities organized by the Branch. Our current C/U partners are San Jose State University, Evergreen Valley College, San Jose City College and Santa Clara University. Financially Fit for Life (FFFL) provides women and girls with the knowledge, skills, and confidence to be just that — financially fit for life. This past year we worked with Charles Schwab, Los Gatos, to offer an in-depth series of workshops “The Road to Financial Independence.” We also present a workshop to give college students the tools and information they need to pay for their college education and minimize student debt. In addition, we take programs to the larger community such as Family Supportive Housing and group homes. Our purpose is to serve others but, in the process, we gain a great deal of knowledge ourselves. 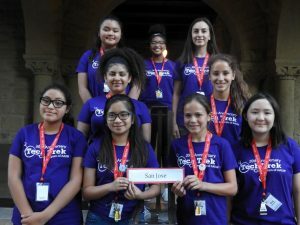 Tech Trek is a one-week STEM (Science, Technology, Engineering, Math) summer camp designed to develop interest, excitement, and self-confidence in young women who will enter eighth grade in the fall. It features hands-on activities in math, science, and related fields. All sleeping, eating, instructional, and recreational facilities are located on a university campus. 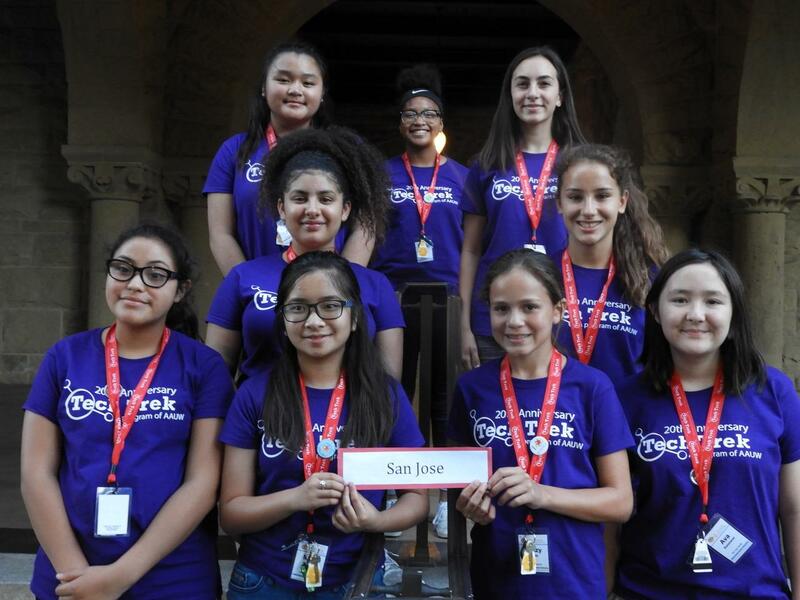 All girls attend Tech Trek camps on scholarships provided by AAUW California branch members, working with participating middle schools in their area. At Tech Trek, girls are immersed in a world that empowers and encourages them to think about themselves as future doctors, scientists, engineers, mathematicians, and computer programmers. For volunteer opportunities and donation information, read more here. AAUW San Jose is proud to participate in the AAUW National Fellowship and Grant programs. One of the world’s largest sources of funding for graduate women, AAUW provided more than $3.9 million in funding for more than 250 fellowships and grants to outstanding women and nonprofit organizations in the 2018-19 academic year. Since 1888, AAUW has awarded more than $100 million in grants and fellowships to 13,000 women from 130 countries around the world. Fellowship and grant recipients perform research in a wide range of disciplines and work to improve their schools and communities. Their intellect, dedication, imagination, and effort promise to forge new paths in scholarship, improve the quality of life for all, and tackle the educational and social barriers facing women in the United States and around the globe. To learn more, go to AAUW Educational Funding and Awards.